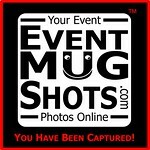 Thank you for visiting EventMugShots.com I hope you enjoy the photos! If there is anything you have a question about, please contact us. Thanks again! Event Mug Shots by Erik Stellmach shoots photos of your event or public celebrations and offers them online for purchase as photos or merchandise. We also do Portraits, Weddings, Birthdays, Anniversaries, Corporate events and more. If you don't see a product that you want, just contact us and we will see if we can offer it. Recently Added and Coming Soon!! !